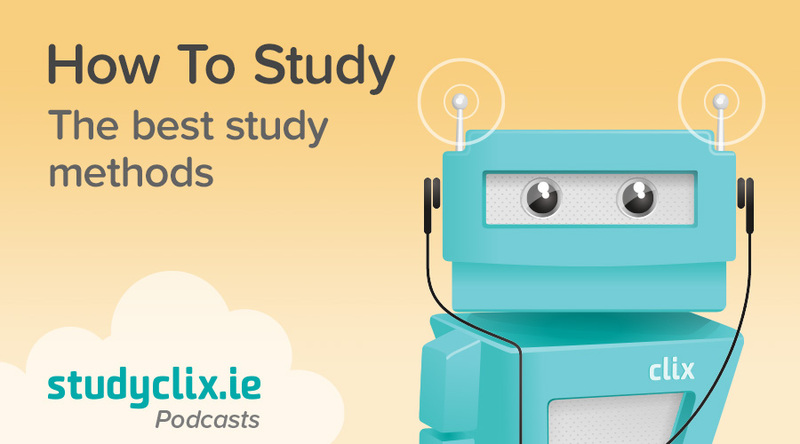 Resident study experts Nessa and Eimear are back with another episode packed with valuable advice for the struggling student. This week's episode focuses on all the different study methods out there. Studying doesn't have to be reading the same black and white text over and over, hoping something will go in. No matter what kind of learner you are, there's a study method out there to suit you. Tune in and see what you could learn! If there's any topic you'd like us to discuss on the podcast, please let us know! You can follow Studyclix on Facebook, Twitter, Instagram and Snapchat and share your ideas with us there.